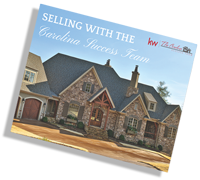 Was the first of the 7 communities in this great collection to grace the Carolina’s. In 1991, the developers started with a dream. At 3,000 feet above ground level, the Cliffs at Glassy Mountain do not just raise your altitude – they raise your life standard! 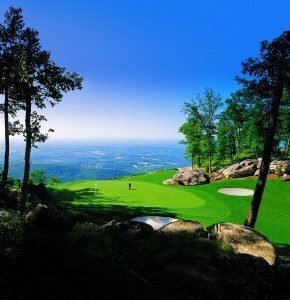 The Cliffs at Glassy is one of the Southeast’s most prestigious mountain-top addresses. Rising to heights of more than 3,200 feet above sea level and encompassing more than 3,500 acres of forest are a refreshing change from the climate of densely populated cities. One of South Carolina’s natural landmarks, the Cliffs at Glassy Mountain has added to the natural beauty of the place. With clean air a given and natural beauty in abundance – it is nothing short of a perfect place to live in luxury. The Tom Jackson-designed golf course, featuring bentgrass from tee to green and the spectacular view stretches unobstructed for 75 miles. 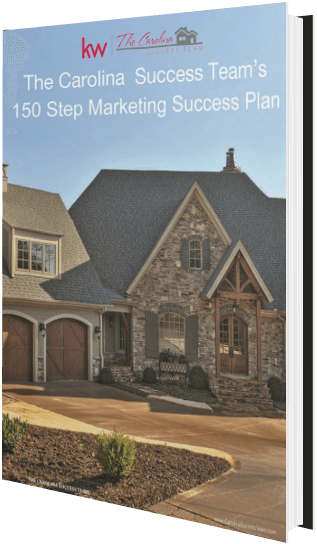 With 95% of it 1,000 lots sold it’s highly difficult to get property, ownership is highly sought after and valued. The high community spirit developed over twenty four years of living together has resulted in a unique culture of the community. 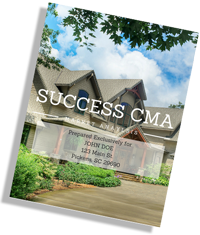 With the residents creating annual events on their own and becoming community leaders, no wonder it’s real estate properties are home to one of the most community centric places in all of North and South Carolina. If you’re looking for a mature community then this one is for you. 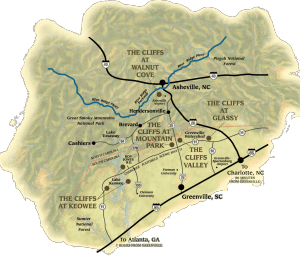 The Golf Course: This golf course was the first for the Cliff’s and the only mountaintop golf course in South Carolina. In 1992, Golf Digest Magazine ranked it the Fourth Most Beautiful Course in the Nation. The 13th hole is arguably one of the most photographed holes in the world. Golf Digest claimed the only golf courses that rank above the Glassy golf course were Cypress Point, Pebble Beach and Augusta National (in terms of scenery). An achievement of great pedigree. The 18 hole, Par 72, 6817 yards; 4 sets of tees, the golf course is beautifully crafted with all the fine and technical details immaculately mapped. Tom Jackson, the course designer is an inductee in Carolina’s Golf hall of fame and had received his training from the best in the business. All that and more, set within a mountainous environment that inspires and invigorates mind, body and spirit, and provides a limitless supply of recreation, adventure and discovery. 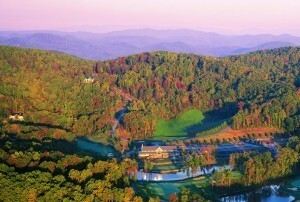 Clubhouse: (23,000-square feet ) A wonderful and marvelous building located at the top of Glassy Mountain. The club house offers infinite opportunities to socialize, connect and create relationships that last a life time – whether they are personal terms or purely business; this is the place to be. This club house offers for a fine dining experience, concerts and entertainment events, brunches and lavish lunches and overlooks the classy glassy golf course – exceptional in every sense of the word. Wellness Center: (15,000-square feet) This two-story wellness center is all you’ll ever need or want, it caters to health and wellness needs of all Glassy Mountain residents. The wellness center is loaded with all the hi-tech equipment and trained staff aims to promote healthy living among the residents. Professional trainers and instructors to guide you on your way to perfect health. Body age assessments, nutrition and lifestyle consultations. Group wellness and exercise classes available and so much more. Tennis Facilities: The mild weather makes for great tennis all year round. The four hard courts (Har Tru installed) have amazing views of Greenville, South Carolina providing an atmosphere that you’ll enjoy coming to day after day. All the communities are designed with a focus on providing an amazing tennis experiences. Members have access to instruction programs through the Cliffs in-house PBI teaching professional the programming is directed by world-renowned tennis management group Peter Burwash Internation. Clinics available for ages five and up. Fun for the whole family. Sunset Pavilion: The social gathering spot above the Glassy Mountain which is ideal for star gazing, watching the sunset or gazing at the magnificent views. A great point for having tranquil thoughts, kid’s parties, friend gatherings and photography. 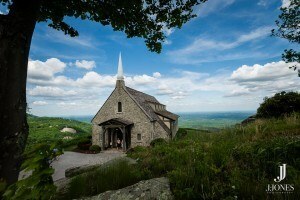 Glassy Chapel: The Chapel is perched on the edge of Glassy Mountain. You will be amazed by these spectacular panoramic mountaintop views of the North Carolina and South Carolina’s Blue Ridge Mountains with 75 miles of unobstructed wonder. It is beautiful, engaging and every ceremony in the Chapel is unique and memorable. A special chapel at a special place for special people! The Chapel is the venue for monthly cultural events with outstanding musicians and speakers and provides a beautiful setting for weddings. Wedding and events are enjoyed throughout the year. Home Sites at Cliffs at Glassy: Lakefront, Mountaintop and Valley from $100k to over $2M. Located in Landrum which is in Spartanburg County, SC at the border of South and North Carolina and in the center of the two most exciting and emerging cities that the south has to offer (Greenville, SC and Asheville, NC) – The Cliffs at Glassy Mountain offers the perfect living experience for the new age citizens. The location ensures that you will never be far away from a bustling city yet still manage to live in perfect peace and harmony of a suburban and quaint town. Located on the Cherokee Foothills Scenic Hwy, 11. 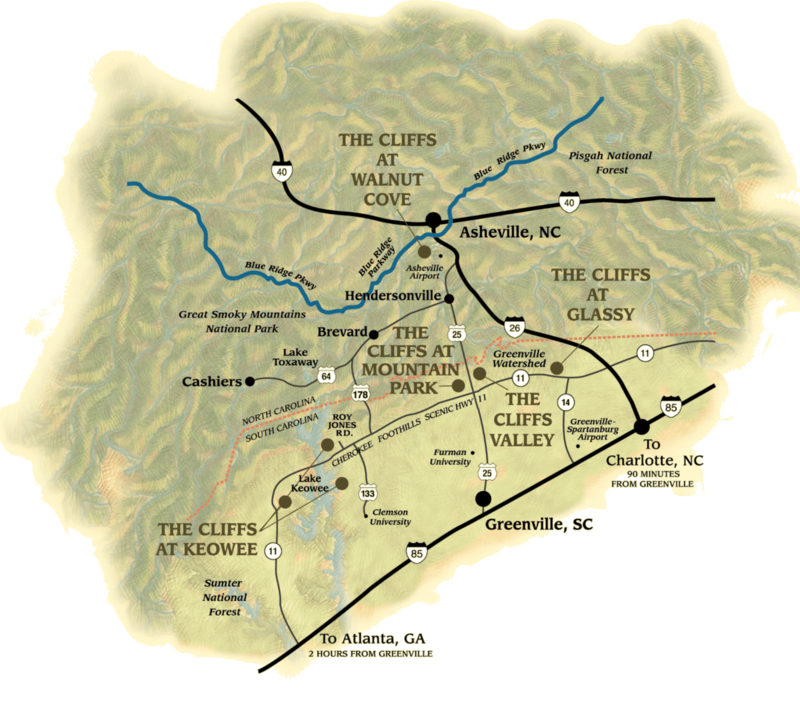 The Cliffs at Glassy Mountain is just ten minutes from The Cliffs Valley and Mountain Park are only five minutes apart. The close proximity of Greenville, SC (45 Mins),Hendersonville, NC (Only 45 mins) and Asheville, NC (50 mins), GA means that you are never really far away from all the action that these cities have to offer; not only that, The Cliffs at Mountain Park is located within a three hour drive from Atlanta, G, a 1.75 hour drive from Charlotte, NC and a two hour drive from Columbia, SC. It is only 45 Mins to the Greenville/Spartanburg Int’l Airport (GSP) and 45 minutes to the Asheville Regional Airport (AVL) and 45 minutes to the Greenville Hospital Systems. Surrounded by thousands of acres of forest protected by the Nature Conservancy, those who love nature and enjoy living a balanced, active lifestyle within a premiere South Carolina golf community with upscale amenities; living at The Cliffs at Mountain Park is absolutely for you. Golf Membership: The Golf Membership provides you with unlimited access to the full collection of all seven golf courses through their reciprocal play program. As a Golf Member, you enjoy 30-day advance tee times and Club-sponsored Member golf events at your home course. Members have full access to wellness centers, clubhouses, dining and marina facilities; as well as outdoor activities areas, including hiking and walking trails, private parks and pavilions. 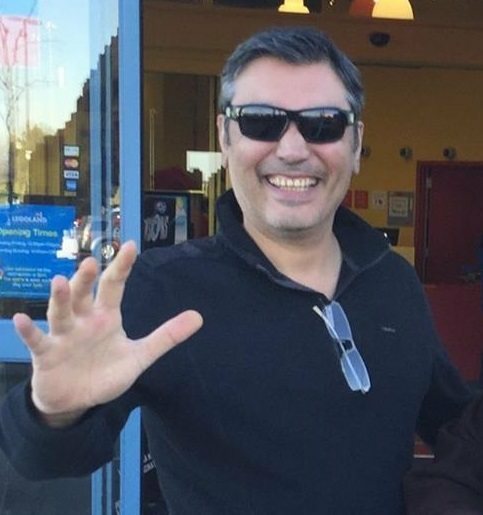 ** The Legacy Membership allows Full Gold Members to extend Club access to their parents, children and grandchildren or 23, and their spouses without increased dues. Family members share similar privileges as the Primary Member with some limitations. Sports Membership: The Sports Membership provides you with a recreational, fitness and social membership. This membership entitles you to full use of the Cliffs’ wellness centers, clubhouses, dining and marina facilities; and full access to outdoor activity areas, including hiking and walking trails, private parks and pavilions. Sports Members have the opportunity to experience The Cliffs’ courses with nominal fees and have access with a two-day advance tee time. The Sports Membership offers limited gold privileges per year for each member of your family. Wellness Membership: The Wellness Membership provides you with a recreational, fitness and social membership. This membership entitles you to full use of The Cliffs’ wellness centers, clubhouses, dining and marina facilities; and full access to outdoor activity areas, including hiking and walking trails, private parks and pavilions. Social Membership: A Social Membership provides eligibility to participate in social events (other than Golf, Sports or Wellness related events) and entitles you to full use of The Cliffs’ dining facilities; and full access to outdoor activity areas, including hiking and walking trails, private parks and pavilions. *Membership, HOA and Taxes May Change please call to confirm.